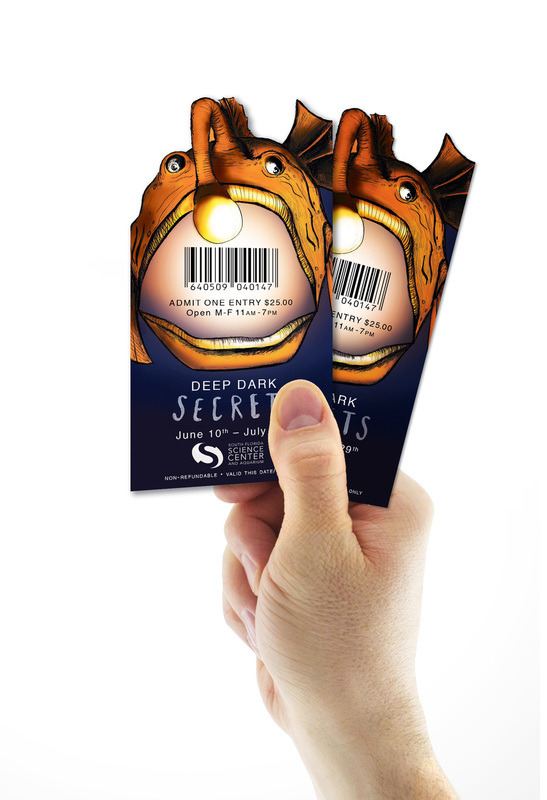 This limited time aquarium exhibit has open to explore a habitat where light is often limited and creatures are often described as monsters. 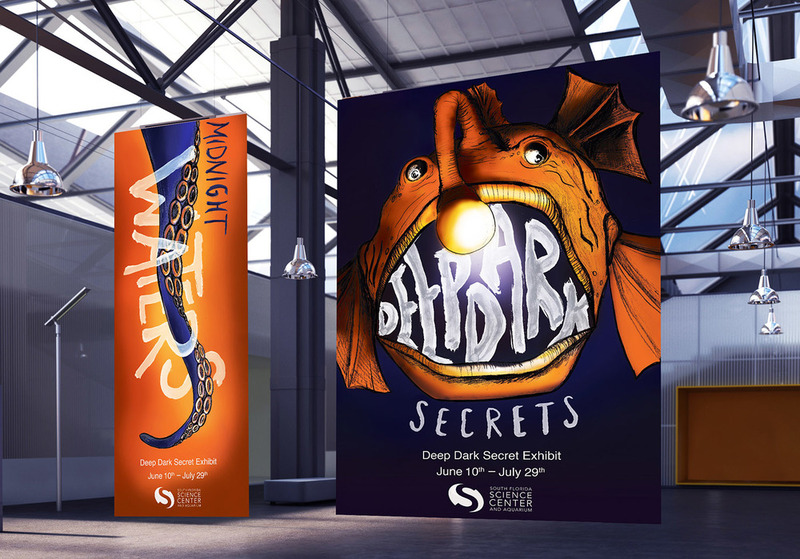 The Deep Dark Secret exhibit is advertised in large scroll banners that combine a hand drawn and textured illustration with a smooth style of digital painting. The three banner advertisements are paired with unique die cut tickets and a on-line website advertisement.